Lovers of Japanese cuisine and satisfying hotpot would do well to check out FUKU – a Japanese Kaiseki restaurant that takes pride in specialising in fine quality Fugu (Japanese word for Pufferfish) cuisine with a personalised touch. 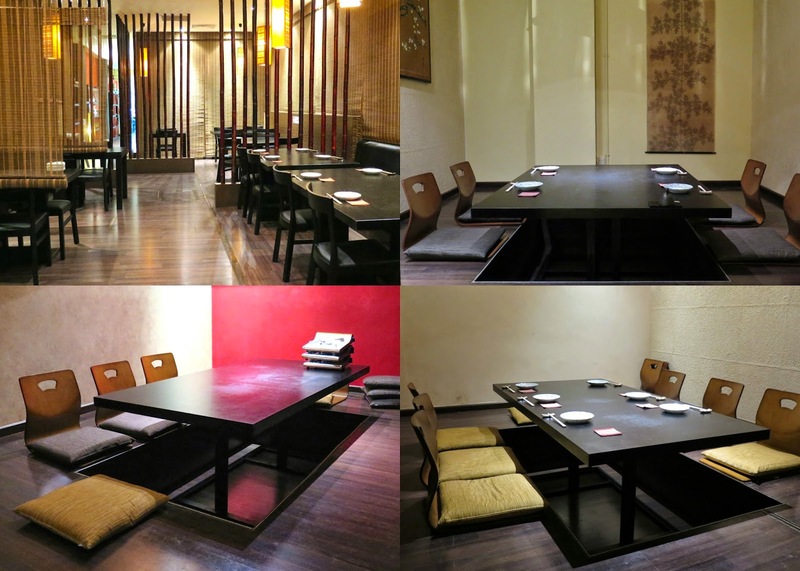 FUKU is the first restaurant in Singapore that specialised in Fugu outside Japan. At the helm of the kitchen is Chef Koji Tsukamoto, the one and only licensed fugu chef in Singapore. His team members together have over 20 years of experience working as fugu chefs in Shimonoseki, which is touted as “Fugu Capital” and is the largest harvester of the fish in Japan. Choose from an array of Fugu course meals including a new Shabu Shabu hotpot ($69) with the highest quality A5-grade wagyu beef from Miyazaki prefecture which is the only region in Japan to produce 100% purebred wagyu from biological cattle. 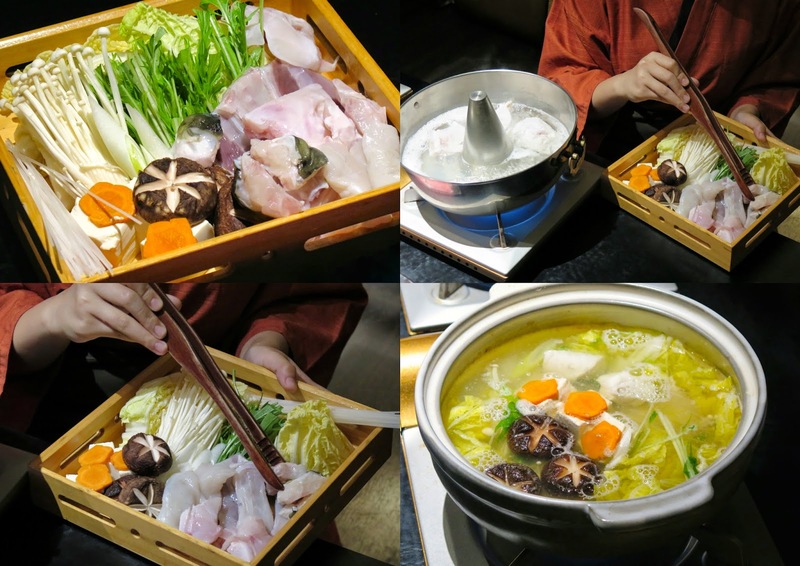 Nothing short of authentic Fugu hotpot ($70, the restaurant also doled out two new soup bases – Soya bean and Miso, in addition to the traditional Tecchiri soup base which perfectly complement the pronounced taste of Fugu. Fugu beginners can start with the basic Fugu Ebisu course ($150), Daikokuten course ($250), up to Fukurokujyu course ($400) with additional fugu items such as for Tessa (thinly sliced Fugu sashimi $70); Yaki Shirako (grilled Fugu milt $80); beef dishes ($20-$80); salad dishes ($17-$22) and more for add on (optional). For the real Fugu enthusiasts, FUKU offers the most exquisite Wild Fugu course (Shichi Fuku $580) that requires you to book at least 5 days in advance, as the wild fugu has to be kept in its best condition and served as a limited seasonal course meal in addition to the normal course meal. 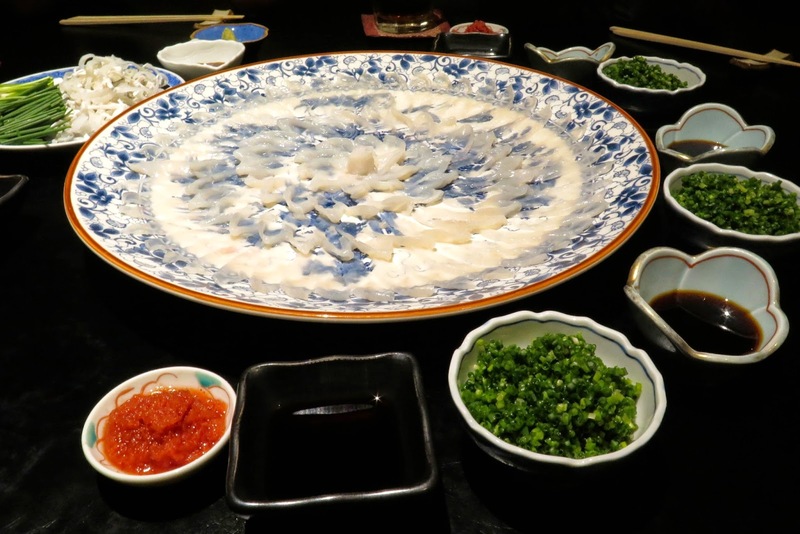 There are many ways of eating Fugu, one of the commonly prepared methods of fugu is in a hot pot where the meat is cooked and eaten with ponzu sauce. All the Fugu hot pots are priced at $70 per set which shares 1-2 person. The traditional Tecchiri broth is light in flavour and becomes increasingly flavourful as the Fugu meat and vegetables are cooked in it and served. The soya bean broth boasts a creamier and thick consistency with an earthy flavour of soybean infused with hearty vegetables like tofu, mushrooms, carrots and cabbage; while the red miso broth is lighter but holds a strong character in its simplicity. 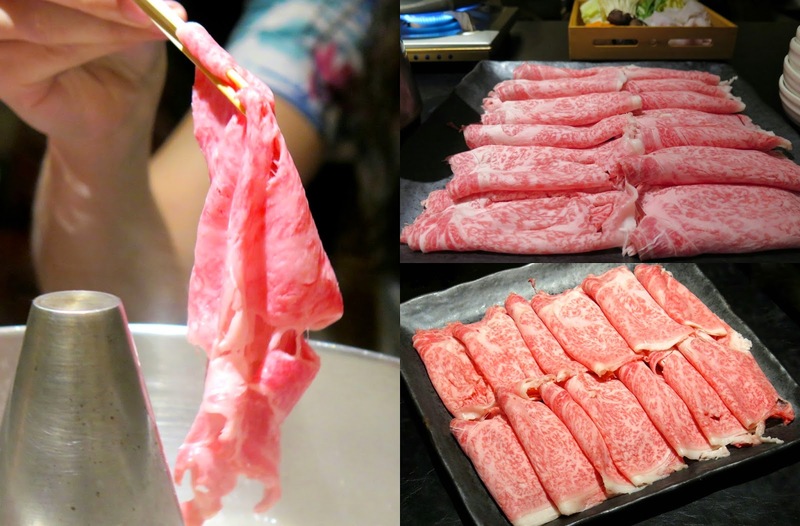 Offering nothing less than the rarest and finest of grade-A5 Miyazaki beef at a new promotional price of $69 per hot pot, this Shabu Shabu is the ultimate indulgence for beef lovers. The Miyazaki beef is well recognised for its colour, tender texture and dense meat taste. The snow-flaked like fat is evenly distributed and begins to dissolve at about 25 degree celsius temperate, you can see straight up in the picture that the wagyu beef is going to melt-in-your-mouth even before cooking in the pot. The add on dishes to the hot pot allows you to enjoy as much meat as you want for a great value price from $9 to $36. Pair your meal with the fragrant Hiresake ($25) flavoured with roasted fins of the Fugu which has been cut up for sashimi. 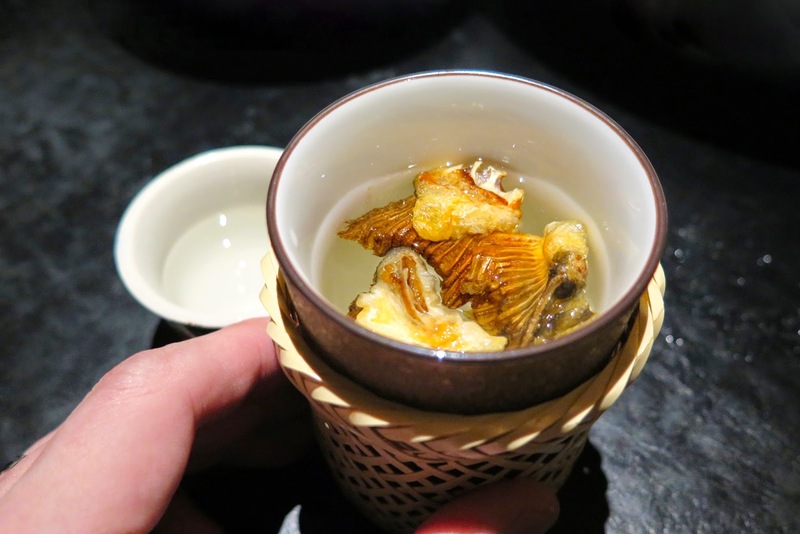 This sake concoction is rich and complex in taste but goes extremely well when slowly sipped and enjoyed with the Fugu delicacies. If you are a sake drinker and love everything Japanese, Hiresake is a must try! If you are adventurous, seize the chance to experience the unmatched Japanese Fugu delicacies in a course meal consists at least 4 different preparations of Fugu to share. 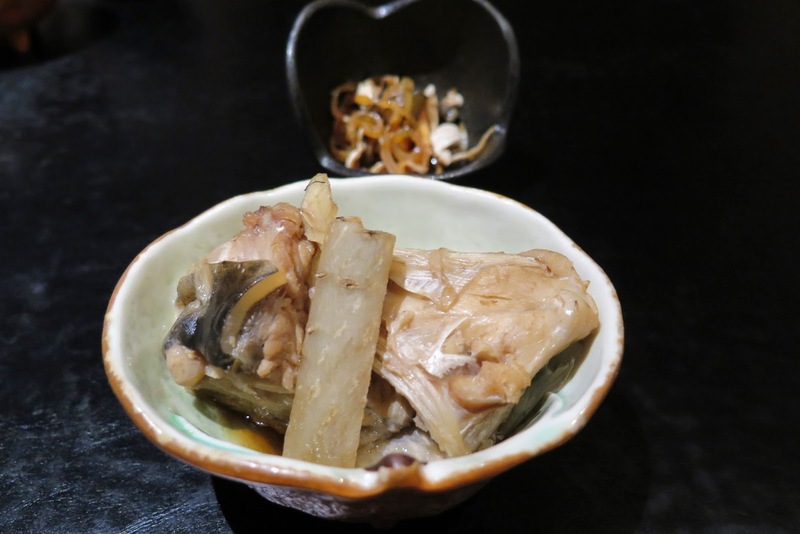 Featured here are some inclusions from the Daikokuten course ($250), starting with the lightly boiled Fugu skin and Gelatine meat chopped into thin slices and tossed with some unidentified sauce which imparted a light savoury flavour to the dish. You can eat them on its own or dip it in Ponzu sauce to enhance the taste. Fugu Sashimi, arguably the best way to enjoy the fish is to present it in its most unadulterated form. The transparent shreds of fugu are arranged in concentric circles to resemble a chrysanthemum. The freshly prepared sashimi is savoured with Japanese leek and ponzu sauce with spicy grated radish. The sashimi is quite mild and delicate in taste, texture wise it reminded most of squid, a little chewy and may also taste like chicken to some. To me, it has a distinctive taste and hard to describe texture which makes it so unusual and addictive, you have to make a trip to Japan to seek for it, or conveniently have it at FUKU in Singapore. 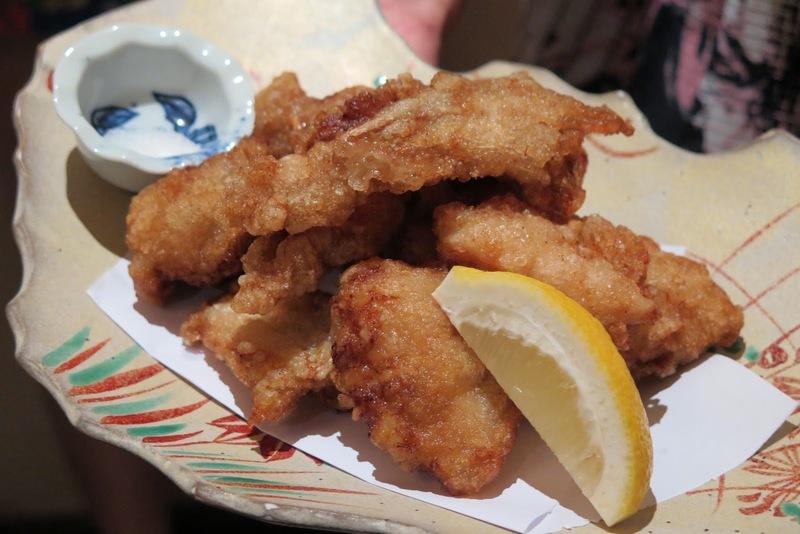 If you are new to FUKU, deep fried fugu is perhaps the most satisfying way of savouring the fish. The experience is like eating refined chicken bites, sort of the chicken karaage, except the flavour of deep fried fugu is distinctively meaty without any fat literally. Milt (Shirako) is the seminal fluid of fish, in other words, the male genital of fish where it contain sperm. This superlative creamy exotic treat is usually eaten raw or lightly grilled, as not many people can get used to the acquired taste. My first milt experience here at FUKU was pleasant, it has unending creamy texture that is nothing but cream. Just don’t keep thinking about it, and enjoy the melt-in-the-mouth texture. Sushi lovers can look forward to the Fugu Sushi offer at $9 for 3 pieces of sushi with every order of hot pot. 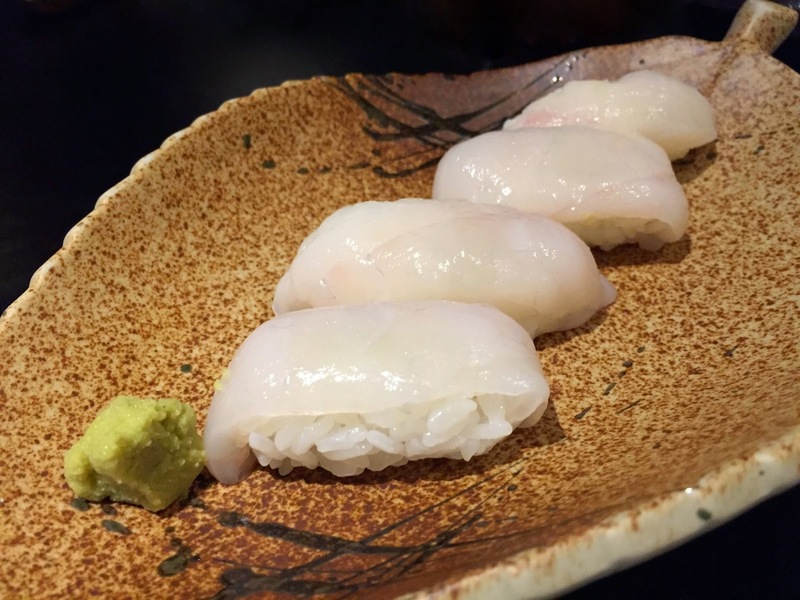 The raw flesh of the fugu sushi tastes the same as the sashimi, except the shreds of meat are much thicker and sweeter in taste when complemented with the high quality sushi rice. If the chewy sushi isn’t to your liking, you would enjoy this comforting pot (bowl) of egg-laced porridge. 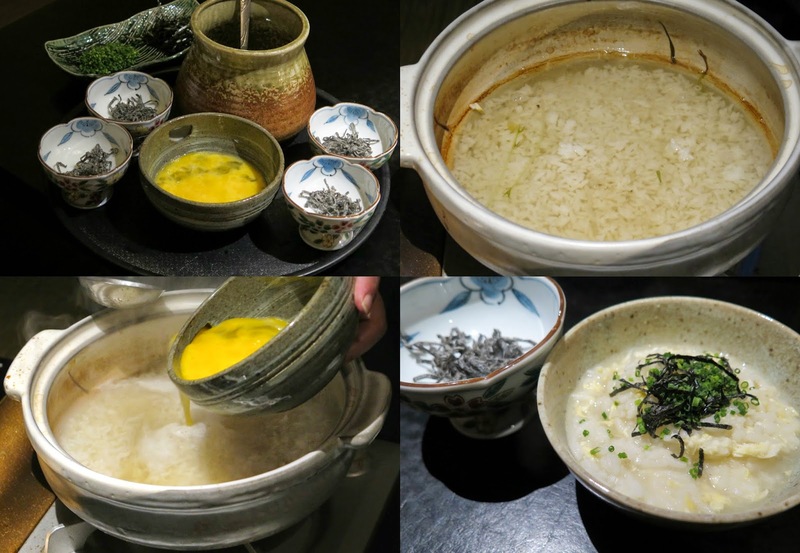 Steamed rice and eggs are added to the soup stock with key ingredients such as kombu (kelp) to create the umami flavour. 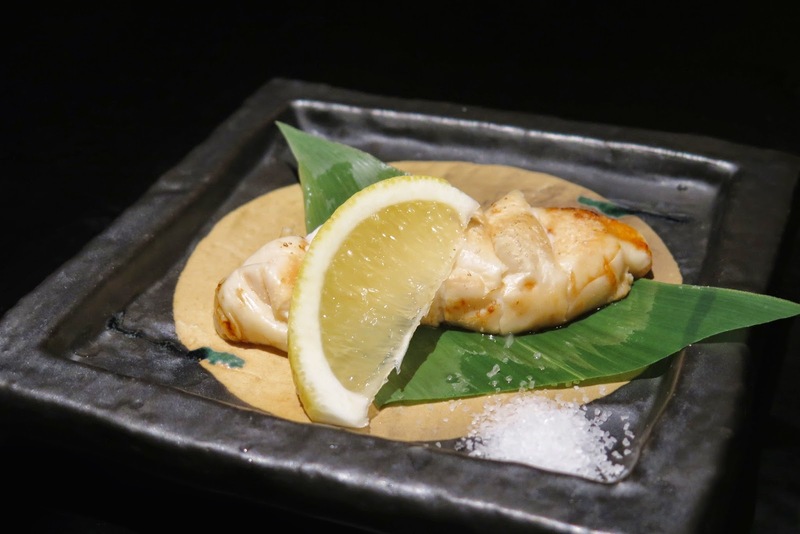 All the dishes presented at FUKU are subtle and serve to highlight Fugu’s taste and true characteristics. While many are living in their safety fears, this is not the first time that I had a fugu meal. If you are worried about how to enjoy a fugu meal, the experienced restaurant manager and his team will be personally at your service. No food is completely without risk, but we can eat sensibly as long as fishes are around and prepared by well-trained & certified masters like Chef Koji.